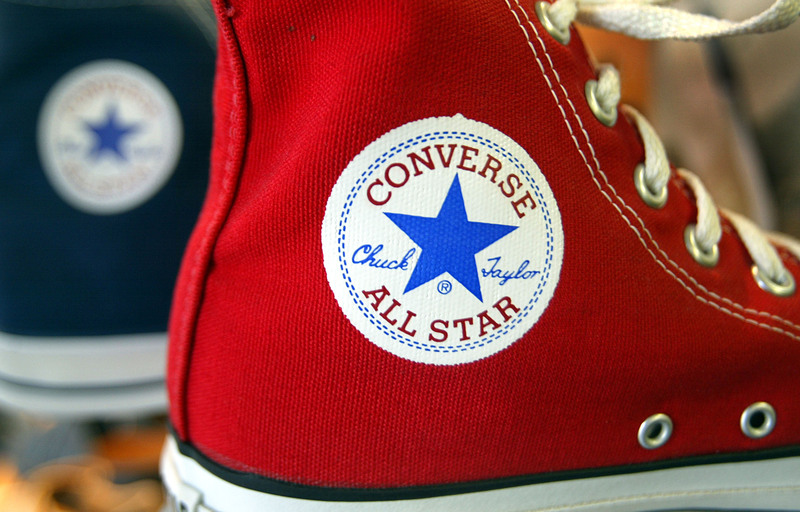 Converse shoes are both timeless and extremely versatile. With a variety of colors and patterns to choose from, the Converse are even wearable for summer, proving that the sneakers are a fashionable staple to stash in your closet year round. The company has made different styles for those who need a little more pattern and has stuck with their traditional basic for the classic fashionistas out there. From the feet of the Jenner sisters to Rihanna's glamorous toes, sneakers are everywhere in 2015, and Converse are no exception. Comfy kicks are perfect for running errands, having a night out with the girls, or anything else life may throw at you. These shoes know no boundaries. They provide just enough personality to a look without being too noticeable. Think of it as the little black dress for your feet. Pair Converse with your favorite summer dress or keep it simple with skinny jeans. With the right styling and the confidence to back it up, there's no place this shoe can't go, even during sandal weather. So toss those summer heels aside for a while and swap them for something a little more comfortable. With hundreds of colors and styles to choose from, there's a pair of Converse to go with pretty much everything you own. Here's how to style those fabulous sneakers in the heat of summer. Keep your look polished by balancing out your sneakers with sleek accessories. This mostly black ensemble will allow the shoes to go almost unnoticed. Dress sneaks down with an updated take on the Canadian tux that's perfect for any daytime festivity. Pair the look with statement sunnies and a bold lip to dress it up. Make your Converse the star of the show by styling a bold colored shoe with a black and white outfit. Combine a graphic tee with a pair of high tops for an edgy summer look, then play down the edginess with some girly accessories — or play it up with some darker pieces. Take on the floral trend with a pair of colored Converse and some playful accessories.